– A medieval variant of the Patteshull arms with sable instead of gules crescents can be found, making the association between the Hours and this family plausible. 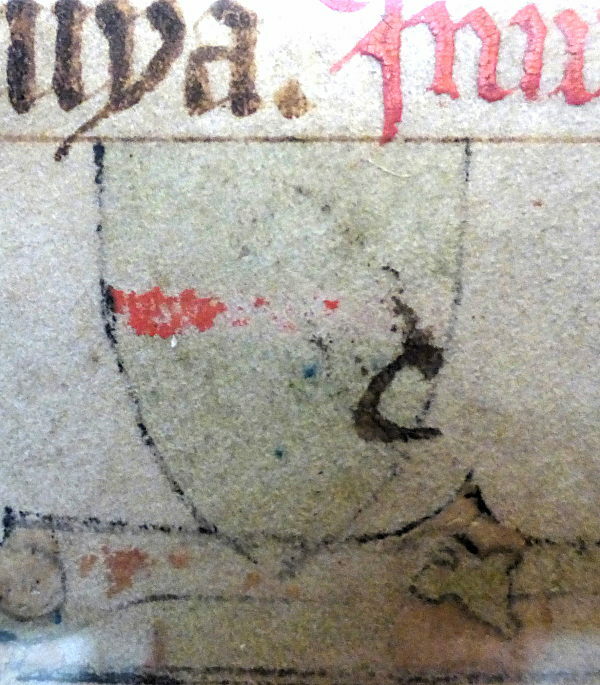 – The more heavily erased arms that accompany the Pateshull arms on the Annunciation leaf are not those of Mabila de Grandison, wife of Sir John Pateshull, so the manuscript must have belonged to a different couple, and in any case it seems that of the two shields, the Patteshull one probably belonged to the woman, not the man, because they are on the dexter side. 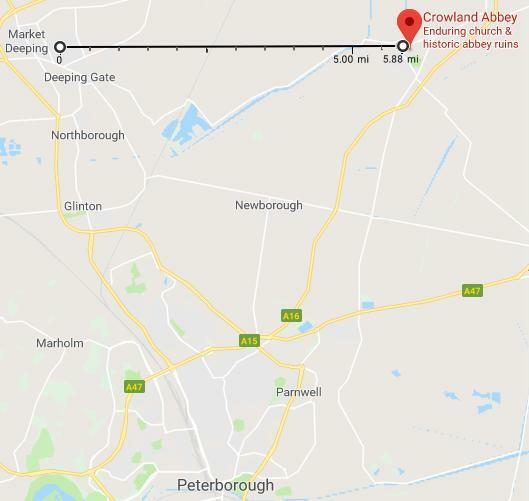 – Sir John and Mabila Patteshull’s daughter, Alice, was buried at the church of St Guthlac, East Deeping, in the area of the East Anglian Fens called Holland, and the most distinctive original entry in the calendar is the feast of St Guthlac festive in Holandia (11 April), “doubtless the feast of that church's dedication”; this suggests a link between Alice and the manuscript. – What remains legible of the other arms on the Annunciation leaf is “entirely consistent” with the arms of Sir Thomas Wake, Alice's husband. – In her will, Alice left a Book of Hours to her daughter, Sybil; Sybil’s sister Anne was an ancestor (by a rather tortuous line of descent) of Robert Hungerford and Margaret de Botreaux, whose obits are in the calendar. 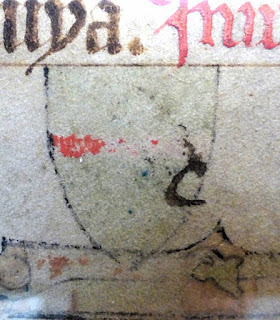 – Taking these pieces of evidence together, “The manuscript is very likely therefore to have been illuminated for the marriage of Sir Thomas Wake and his new wife Alice Pateshull in about 1348, a modest re-dating of the manuscript ...”. This hypothesis may be ultimately correct, but it is worth noting several weak links in its line of reasoning. Second, although de Hamel-Cooper have found evidence for a medieval variant of the Pateshull arms with sable crescents instead of the more normal gules, these are only recorded as the arms of a different person, Simon Patteshull, whose relationship to Alice, if any, has not been established. 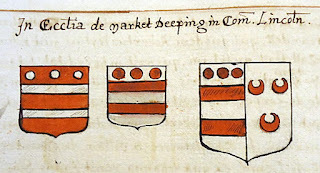 "In ecclesia de Market Deeping in Comitatu Lincolniensis"
Fourth, as de Hamel-Cooper state, Thomas Wake’s recorded arms were argent, 2 bars gules, in chief 3 torteaux (as in the image above), whereas the damaged arms on the Annunciation leaf quite clearly show that it had only a single narrow fess, not two bars, and it was on an azure ground (tiny traces of pigment survive), not an argent one. 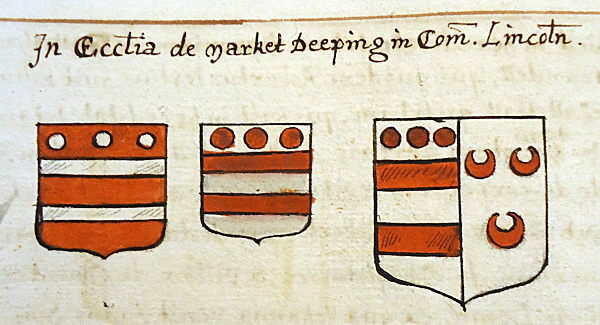 All the evidence, therefore, seems to indicate that the two shields in the manuscript represent neither the arms usually used by Alice Patteshull, nor those used by Thomas Wake. Lastly, the apparently precise “about 1348” date of the marriage of Alice and Thomas is misleading: the date of their marriage is not recorded, and it seems that this date has been proposed by de Hamel-Cooper simply because the manuscript has always been dated to the second quarter of the 14th century (Janet Backhouse dated it c.1330, and Michael Michael dated it c.1325–35), yet Alice would probably not have been of marriageable age until the 1340s. 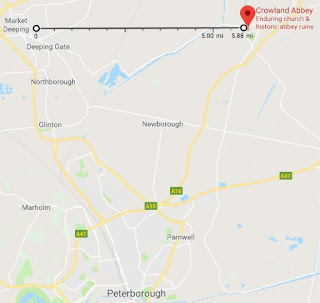 In addition, it is proposed that there are links between the Black Death (which ravaged England in 1348-49) and a prayer for a deceased woman that includes the words " ... et a contagiis mortalitatis ...". But this prayer is a standard one, appearing at least as early as the 10th-century Gregorian Sacramentary, and thus with no necessary link to the Black Death. As with so many questions of medieval provenance, it is very tempting to accept a hypothesis that is presented as if it neatly satisfies the available evidence, but a closer look at the evidence often shows that the true situation is considerably more equivocal. J. Backhouse, “An English Calendar circa 1330”, in Fine Books and Book Collecting: Books and Manuscripts Acquired from Alan G. Thomas and Described by His Customers on the Occasion of his Seventieth Birthday, ed. by C. de Hamel and R. Linenthal (Leamington Spa, 1981), pp. 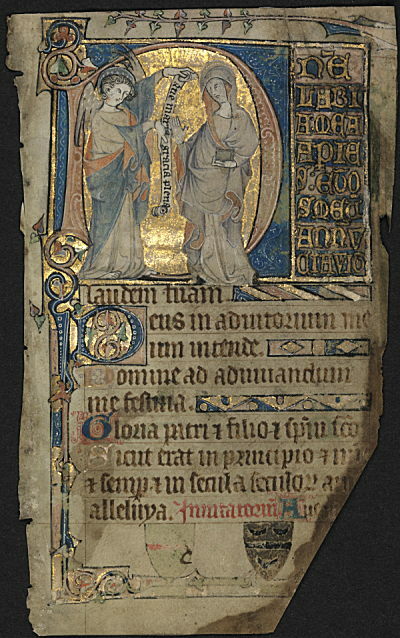 8–10 (ill. of fol. 1v). 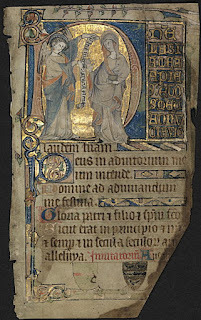 M. A. Michael, “Destruction, Reconstruction and Invention: The Hungerford Hours and English Manuscript Illumination of the Early Fourteenth Century”, English Manuscript Studies 1100–1700, 2 (1990), pp. 33–108, passim and pls. 1–5. C. de Hamel and S. Cooper, ‘The Hungerford Hours’, in Tributes to Adelaide Bennett Hagens: Manuscripts, Iconography, and the Late Medieval Viewer, ed. by J. K. Golden (Turnhout, 2017), pp. 355–69, at pp. 355–58 and Fig. (col. ill.).